mysteriously appeared. Then, three days later, while on a getaway weekend in Princeton with her daughter, she was shocked to see—right on the front display table in the Labyrinth Bookstore—another book about Judas. This one was about a recently re-discovered 2,000-year-old missing Gospel of Judas. Intrigued by the bizarre coincidence, she bought it—of course. But she sure wasn’t prepared for what she herself discovered within those pages. The Judas codex, she learned, which had been found in a cave in Egypt four decades earlier, then lost on the European and Middle Eastern blackmarkets for years, had been found again—rotting in a Citibank box deposit box in Hicksville Long Island. Not only was that the very town where she’d grown up, but the codex had been hidden in the SAME Citibank branch where she’d had her first-ever account. What were the chances? A million to one? A billion to one? There were even rumors out there that some of the pages of Judas’s Gospel were missing. The fix was in. Another Alessandra Russo mystery began—one that had to be solved. Do the lost pages reveal a secret that will challenge Christianity's very belief about the creation of life, or even the power to unleash Armageddon? What if such explosive documents fell into the hands of modern-day terrorists, dictators, or religious fanatics? 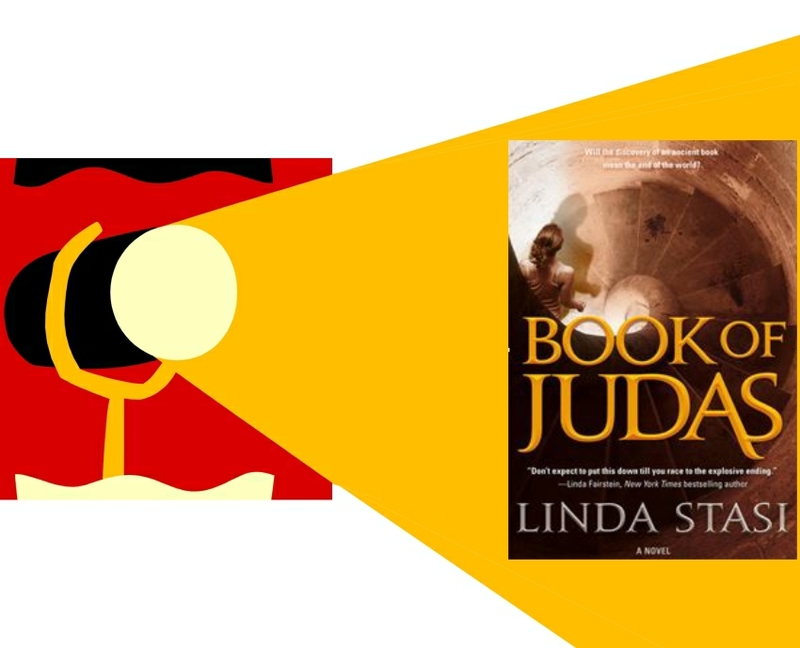 Can Alessandra crack the code and learn what the Gospel of Judas is truly saying to the faithful? gulf states with hurricane relief supplies. “Coast to Coast” with George Noory and is a regular guest on I Radio’s nationally broadcast Mark Simone Show, and countless others around the country. Stasi has also authored five non-fiction books – Looking Good Is the Best Revenge, A Field Guide to Impossible Men, Simply Beautiful, Boomer Babes, and Scotto Sunday Suppers. Not afraid to say what’s on her mind in her popular Wednesdays and full-page Sunday columns in the New York Daily News, which has a print readership of more than 650,000 on Sundays, and millions of digital readers daily. Linda Stasi’s husband, Sid Davidoff, has been named to City & State’s “100 Most Powerful,” and they were the first couple ever married by NYC Mayor Bill de Blasio. Her daughter Jessica Rovello was named by INC Magazine as the top CEO of the Best Company to Work For in the USA, Arkadium.